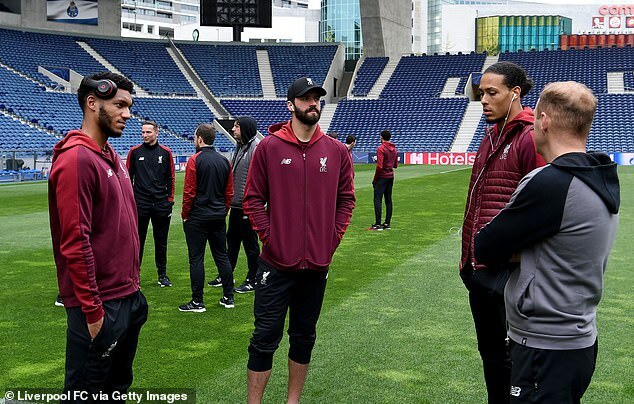 Liverpool inspected the Estadio do Dragao pitch ahead of their Champions League quarter-final second-leg against Porto on Wednesday night. 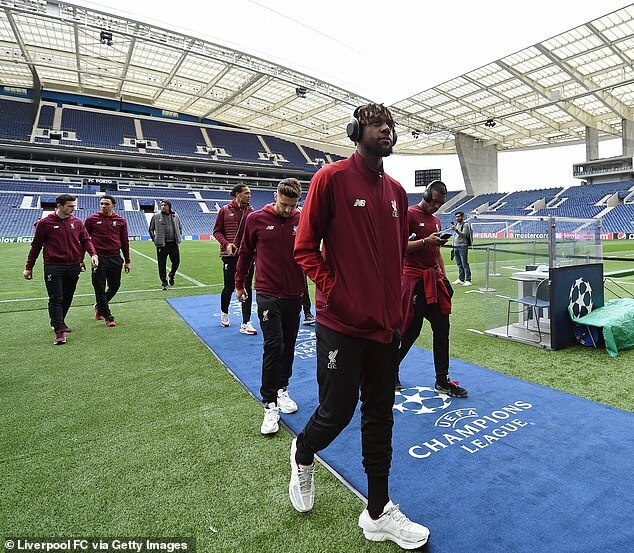 Jurgen Klopp‘s side hold a 2-0 advantage heading into the European clash against the Portuguese outfit, thanks to goals from Naby Keita and Roberto Firmino. 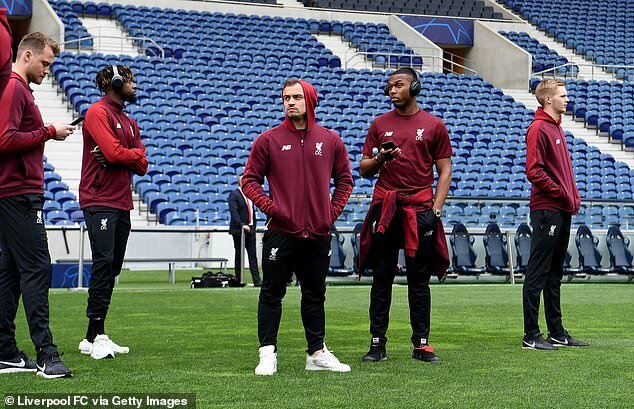 And on the eve of the second-leg in Portugal, the Reds took in their unfamiliar surroundings as they walked around the Porto turf in their club tracksuits. 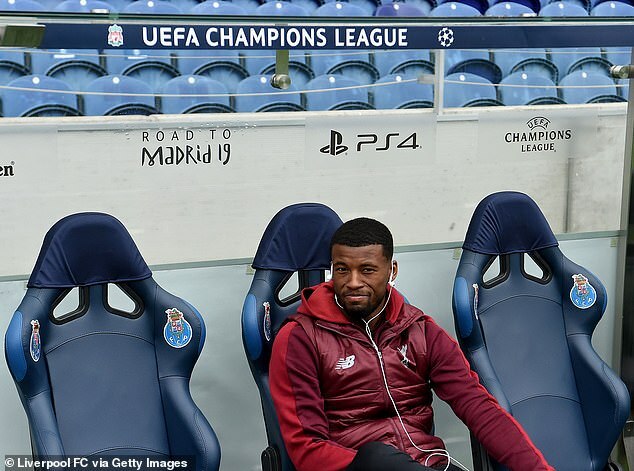 And they head into the Champions League contest in confident mood as they look to dump Porto out of the competition for the second year running and book their place in the semi-finals, where they would face Barcelona. The last time they let a two-goal lead slip to lose a match was at Bournemouth in December 2016. That, however, has not stopped Jurgen Klopp reinforcing the message that nothing has been decided. ‘I always tell the boys the truth when I analyse,’ said Klopp in his pre-match press conference. ‘I don’t make things bigger or smaller than they are. 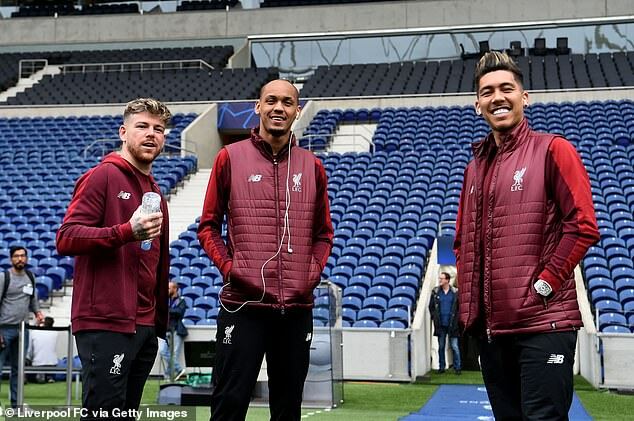 ‘When we play Manchester City, I don’t say they have no clue about football or say it’s the best team in the world. We analyse for us. Meanwhile, Barcelona booked their place in the last-four with a comfortable 3-0 victory over Manchester United on Tuesday, winning 4-0 on aggregate. Lionel Messi conjured up his usual magic with a brace in the opening period at the Nou Camp before former Liverpool man Philippe Coutinho wrapped up the victory with a stunning curling effort in the second half.